Last November DB Sports Tours embarked on their biggest venture to date and set up their first overseas office in Beijing, China. This summer will see our first group fly into the UK for a 10 day tour to a number of academies around the northwest of England. Next week our managing director will fly to Beijing for a weeklong road show with his pal Hugo Vicente ex- SC Braga & Benfica academy head coach to promote the excellent tours we have on offer and will also appear on national television at the final of the Beijing youth tournament. Stay tuned and be part of this wonderful adventure. 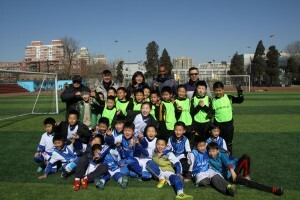 DB Sports Tours now Making Sport Dreams a Reality in China.